We’d love your help. Let us know what’s wrong with this preview of Here in There by Angela Carr. To ask other readers questions about Here in There, please sign up. Here In There is an interesting and effective path through prose poetry. A focus on a persona named Iris leads to a focus on the speaker's I and then Iris and I together. 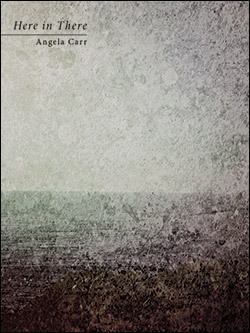 Angela Carr plays with language, line/sentence structure, parallelism, and repetition in this collection of five parts. A really intriguing and enjoyable read.